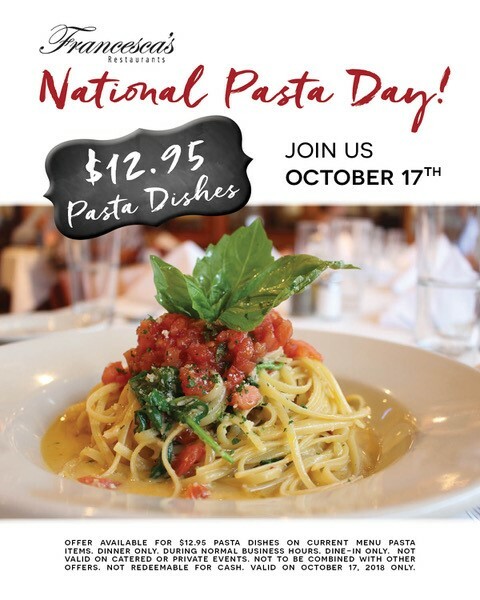 Your favorite local Italian Restaurant, Francesca's on 95th, is offering $12.95 Pasta Dishes to celebrate National Pasta Day! 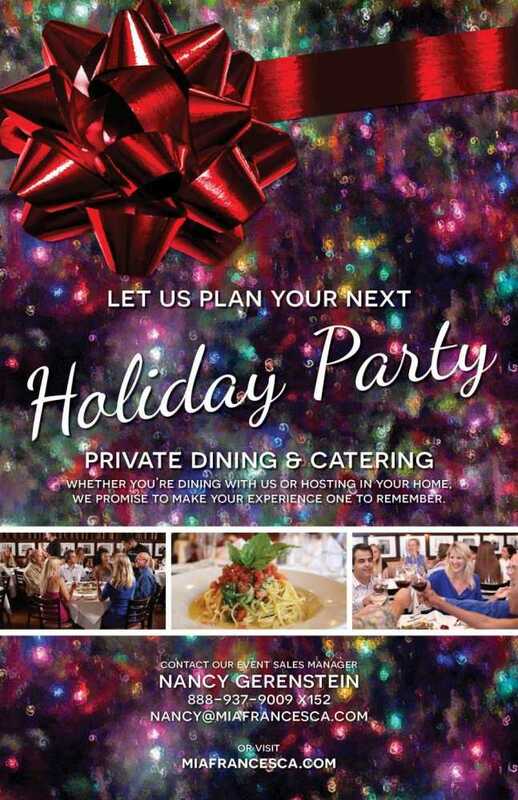 Offer valid on current menu pasta items, during dinner hours, and dine-in only. Not valid on catering or private events. Cannot be combined with any other offers. Not redeemable for cash.